We bring you another tantalising recipe, this time for Orange and Almond cake, baked under sail! Watch and learn as Bessie Ellen’s owner, Nikki Alford, gives Classic Yacht TV a lesson in baking whilst at sea! The arts of a sailor such as serving, splicing and knotting is fast becoming a dying art, skills are lost, tools are harder to come by, and sailors seem to have less & less wish to whittle or turn out their own Drugged by the power of smartphones, social media, the fo’c’sle has become a very different place than when I started life at sea 20 years ago. One of the first arts we would learn was serving a splice. Aboard sailing ships much of the wire rigging would be parcelled and served, rope eyes and strop-blocks all dressed smartly in turns of marlin. Today, even though materials are modern and hardier, serving is still an important task to learn, finished off with a waterproofing of linseed oil and tar offering the appearance of a well-dressed ship. TO WORM AND SERVE A ROPE – TAKEN FROM THE RIGGERS GUIDE & SEAMANS ASSISTANT – PUBLISHED 1877. Set up your work between two points and heave taught. Worming the rope is to fill up the vacant space between the strands of the rope with spun yarn in order to render the surface smooth and round for parceling. Parceling a rope is wrapping old canvas round it, cut into strips two or three inches wide according to the size of the rope. The parcelling is put on with the lay of the rope. The service is of spun yarn, put or hove on by a wooden mallet; it has a score in the under part according to the size of the rope so as to lay comfortably on the rope. The serving is always laid on against the lay of the rope, a man passes a ball of spun yarn taking the turns well out of it at some distance from the man that is serving the rope; when the required length is put on, the end is passed under the last 6 turns and hauled taught before cutting off. It goes without saying that on arriving at a foreign port, a trip to the local market is a must, and in Galicia each stall is piled high with wonderful ingredients not found at home. The fish stalls display an array of strange looking fish, shellfish and seamonsters, all looking so appetising that you cannot help but buy a little of everything. For example, our chefs bought: calamari (squid) langoustine (big prawns) almejas (clams) and mejillones ( mussels) to go along with chicken for our Paella. This recipe serves 18, so adapt to the number in your party. Fry chicken pieces in olive oil until brown and nearly cooked through. Add a good handful of chopped garlic along with some chopped onions and chorizo, fry for two minutes or until soft. Add your rice (a good handful per person) then add the stock and wine to cover the rice along with paella seasoning. Leave to simmer. You can add more stock or white wine if necessary. About 10 minutes before the rice is cooked, add all your shellfish to the pan along with some green beans and sliced red pepper. Keep stirring until cooked, adding more liquid if required. Serve with a good sunset! Farewell to the Hebrides and all the other magical places we have been this summer. Although the weather was not perfect, all our guests company made up for the rain with smiles and good humour. Oban our host port has been more than welcoming and we say goodbye to all friends here. It somewhat feels more like home than Cornwall. At 1700 this afternoon, Bessie Ellen will set off to home waters of the Westcountry where we will stop in Fowey for the shipyard before heading on down to Northern Spain for some late summer sun. The forecast is not looking great even now, heavy rain later tonight and winds from the South West which makes sailing hard given that we only have six days! Never mind, what ever happens we always have a good adventure. All crew reported back aboard. The last of the stores are stowed and the weather is looking like it may be a bit kinder to us this time. Our aim? To get to Kilda under sail and as of the forecast this morning I think we will make it this time. 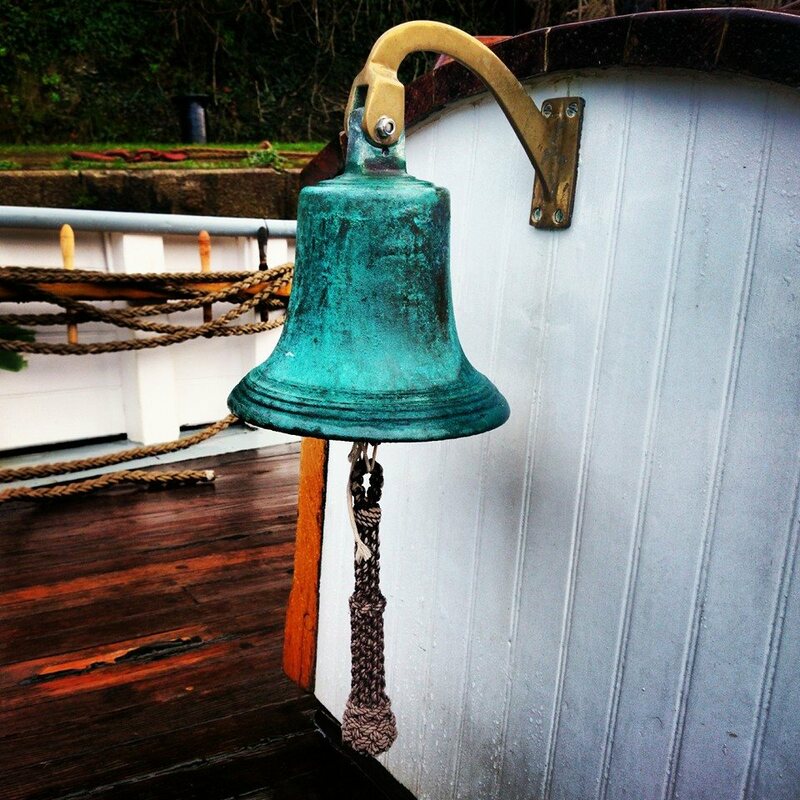 The ship will anchor overnight in Tobermory before heading off towards Castlebay on Barra. 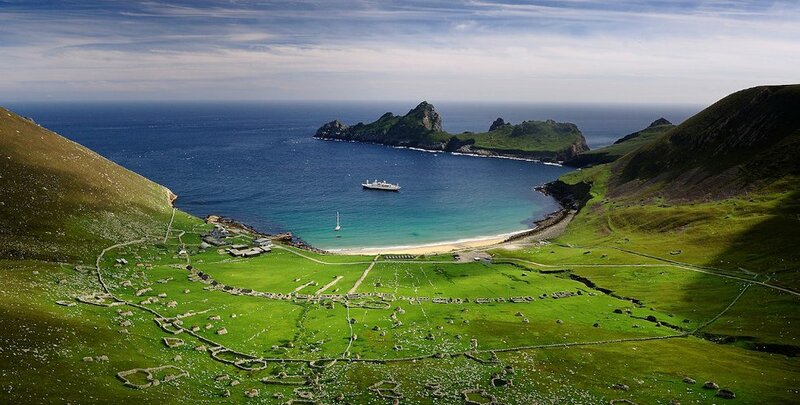 The plan seems to be at the moment, a morning in Barra before heading off early afternoon the 68NM to St Kilda. The window is short, Tuesday and early Wednesday before the weather starts to turn against our favour again. This year it seems that few of the charter vessels here have managed many voyages out here as the weather has been so dreadful. Never mind, the beauty of Scotland is that is is fantastic in amy weather and always a sheltered haven to hide in. Photos from Hirta I hope later in the week. Irene is heading for Belfast’s maritime event of the year and you could be there too. For three days, Irene will join in the celebrations for the gathering of Tall Ships before they set sail on a voyage to Norway. Ireland’s hospitality is renowned and guaranteed you will find music, arts and song wherever you explore. If you are interested in learning more, or wish to book this voyage, click here for more details. 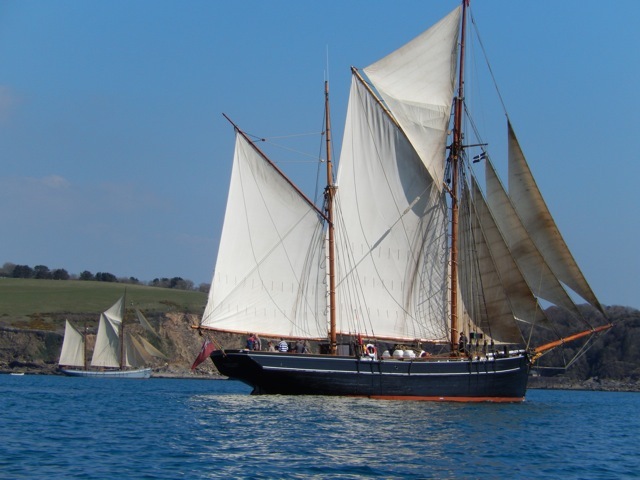 Take one of the best sailing areas in Cornwall, add a few ounces of sunshine, a 100 tons of tall ship a dose of fresh air along with a pinch of salt water and stir for a great weekend afloat. Join me, Nikki and my crew as we get going into the new sailing season and summer. This weekend we have special guest and mariner Topsy Toner who will be telling stories and explaining the not so dark art of celestial navigation. Navigation using planets and stars is as old as ancient Greece, but with the arrival of GPS and the more recent computerised navigation software we are finding the more traditional methods of navigating using a sextant to position fix are becoming replaced by newer and quicker technology. Topsy will be explaining the uses of the sextant and how it works along with practical demonstrations and classes during the day. Throughout the evening he will go through some of the finer points and hold discussions around the table. 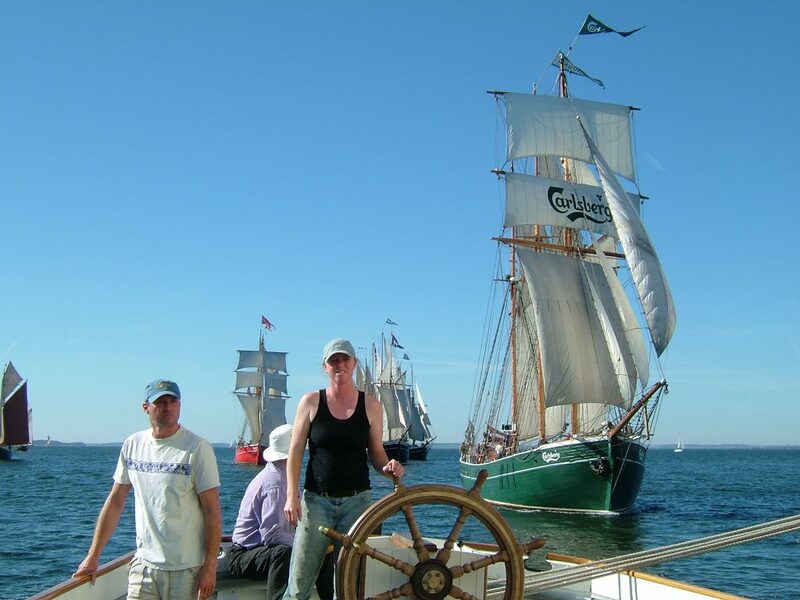 The classes are not compulsory and will run for those of you who are interested alongside your traditional sailing experience aboard Bessie Ellen. Apart from teaching, Topsy is also a master of the Mandolin and Banjo, so do bring your instruments to join our evening sessions. Wishing all our guests, customers and suppliers a very Happy Christmas & New Year. May all your winds be fair. Applicants should hold a recent ENG1 and a CRB certificate. 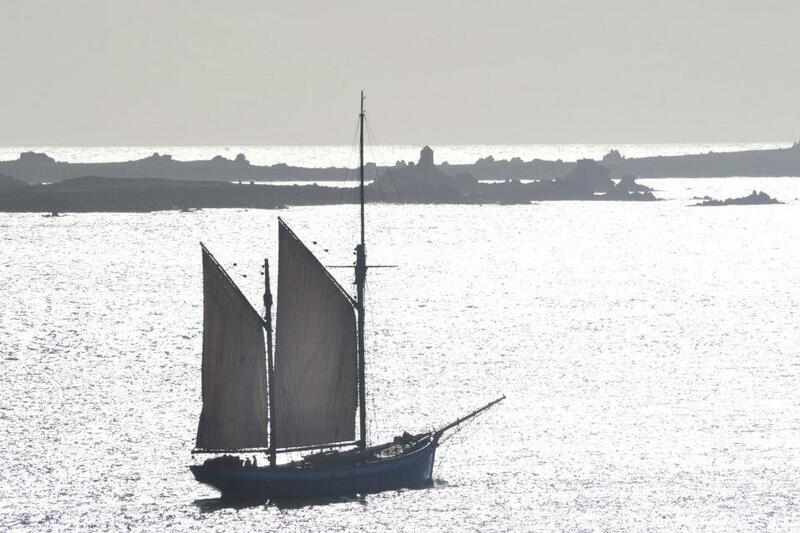 Both Bessie Ellen & Irene has a vacancy for a Mate for the 2015 charter season. The posting will run from January to September in UK Coastal waters including Scotland with the possibility of a placement extending to a winter in Canary Islands. You must be a team player with and a positive attitude, strong work ethic and outstanding people and leadership skills. An interest into traditional vessels and rigging is important. Crewing a tall ship is rewarding but very demanding. The applicant must be prepared to work regulation hours performing a wide variety of tasks under conditions which are sometimes physically and mentally challenging, and the work must be done with a smile on your face. You must be willing and able to interact with passengers, as well as your shipmates, in a positive and appropriate fashion. You will have a wide range of sailing experience on various types of vessels with a good knowledge of sailing techniques under all weather conditions both inshore and offshore. Today we get a day out and away from our desk. We are off to a Cornish Christmas fair, helping to support local business and encourage you to buy local. It’s important you know. Drop in and catch the crew at Pencarrow Christmas craft fair. Bring the kids, learn how to tie ‪‎monkey fist‬ and buy your loved one the best christmas present, a day sail on Bessie Ellen and Irene, Sailing Ketch. 1907. Oh and get free gold coins!